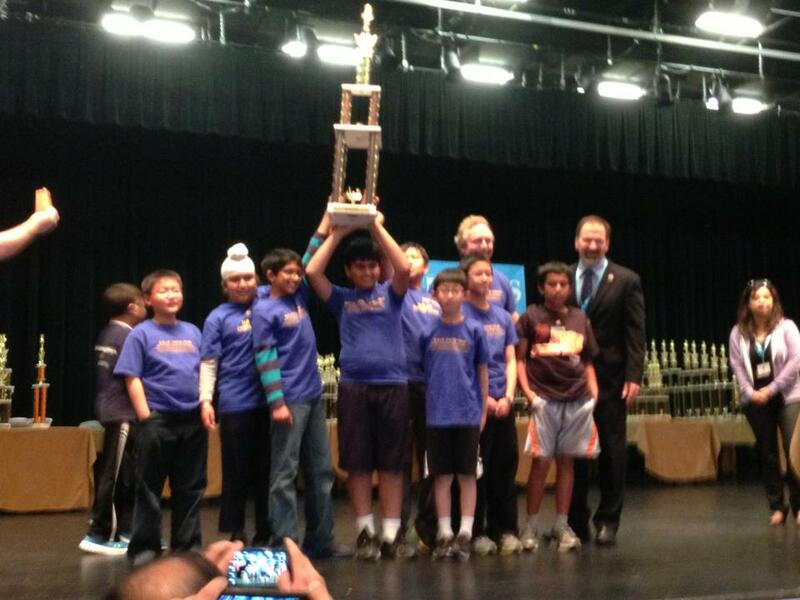 The Fremont Scholastic Chess Championship! Cost: Thanks to a generous donation from Joe Lonsdale Sr., the early bird entry fee for this event is only $20! Trophies are awarded to the top 10 in each section, top school team per section, and the top boy & girl in each grade. All other players will receive medals for participating. Registration: Each time control (G/30 & G/60) will be limited to only the first 100 applicants. Please do not delay in registering as there is no guarantee that there will be room to register the day of the tournament. USCF Rated SWISS Format: All players must be USCF members. All players must understand USCF tournament rules. USCF Membership fee is $17, per year. SWISS Format – a non-eliminating tournament format which features a set number of rounds of competition, each competitor does not play every other. Competitors play opponents with a similar running score, but not the same opponent more than once. The winner is the competitor with the highest aggregate points earned in all rounds. All competitors play in each round unless there is an odd number of players. Sets and boards provided. Clocks will be provided, but players are encouraged to bring their own. 1) Use an official set of rules so that our competition will be fair. 2) The official nature of the chess tournament encourages your child to play a “more serious” chess game. 3) Ratings allow us to break children up into skill level sections. 4) Rated play means that your child must learn to stand on their own and receive no outside assistance. 5) All the major chess events worldwide are rated. 6) Rated play can serve as a reward for hours of chess practice. 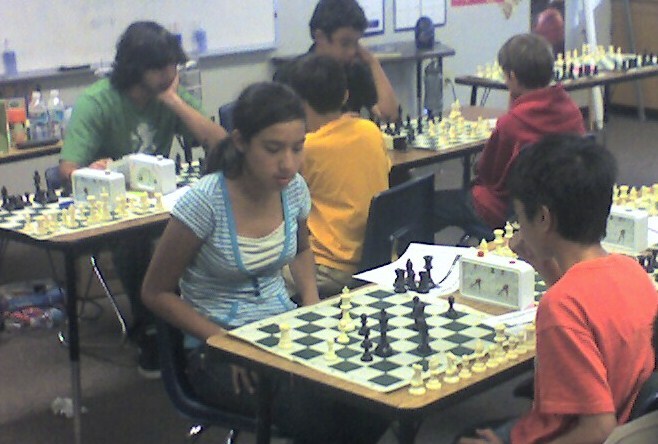 7) A rated tournament encourages children to prepare more and thus improve their chess. Kids playing chess at a rated tournament directed by the Torres Chess and Music Academy. For more on youth chess ratings please read: How Important are Chess Ratings for Children? then please contact me. Together we can change Stockton. 1) Stockton Unified has seven elementary schools listed as being the worst performing schools in California. 2) Stockton averages 318 crimes per square mile! 3) Nearly 30% of children in Stockton live below the poverty level! 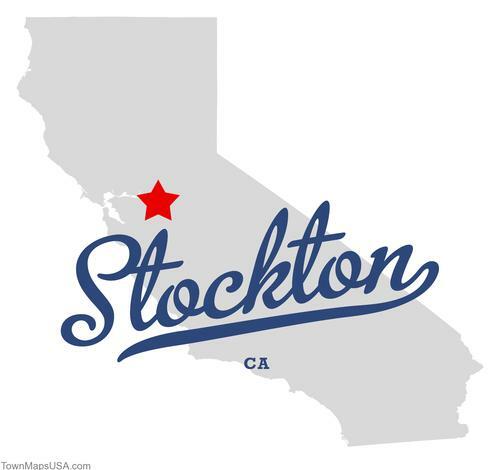 4) Stockton regularly ranks as one of the worst cities to live in according to Forbes Magazine. 1) Chess increases test scores. 2) Chess improves decision making skills thus lowering violent crime. 4) Chess makes your neighborhoods more appealing. 1) Chris Torres has worked successfully in low performing schools. 2) The Torres Chess and Music Academy has experience using chess to combat gang recruitment. 3) The Torres Chess and Music Academy is a nonprofit organization. 4) Chris Torres is one of the best chess coaches in the United States. A children’s chess quad run by the Torres Chess and Music Academy is the ideal way for new chess players to begin playing in tournaments. Children are separated into groups of four based on rating and age so that each quad tournament represents the closest chess experience grouping possible. This structure assures that all three chess games a child in are winnable and instructive. All Torres Chess and Music Academy tournaments have a group of outstanding master chess teachers on hand to review the child’s game as soon as he/she finishes it. At Torres Chess and Music Academy tournaments a loss is never just a loss. Instead a loss is a unique opportunity to grow as a chess player under the supervision of the very best chess coaches. 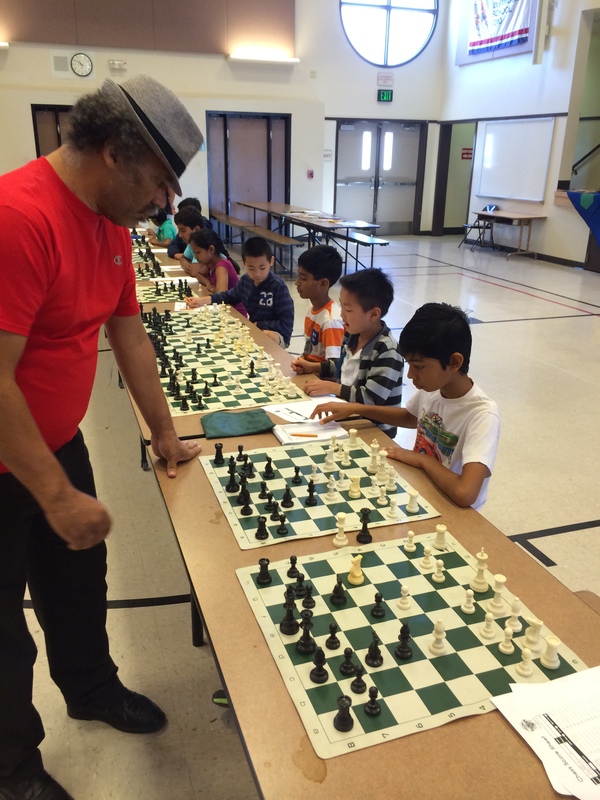 Today the Torres Chess and Music Academy ran a children’s chess quad tournament in Sunnyvale, California. Our tournament was hosted at the beautiful South Peninsula Hebrew Day School site. On hand were scores of enthusiastic young chess players as well as TCAMA coaches Chris Torres, Tans Hylkema, Kenneth Kirkland and Saurabh Gupta. Plenty of children left with trophies while even more left with consolation prize medals. All children who attended left with a better understanding of chess than they arrived with. Below are the cross tables from todays event. I will provide some games and photographs in a future post. Cost: $20 for one or $30 for both. All players must be U.S. Chess Federation (USCF) members, and understand USCF tournament rules. To register for USCF pay an additional $16 for 12 & under; $19 for 15 and under; $25 for 16 to 24. 3 round Quad Format – Everyone plays 3 games against players in their quad. Quads are formed by making groups of four by rating. All sections will be Game in 30 min (each player). Sets and boards provided. Clocks will be provided, but players are encouraged to bring their own. Financial aid is available upon request. Round Times: Check In/Late Registration begins at 12:00 PM. Entry Fees: $20 entry fee for one quad $30 entry fee for both. Information: Contact Chris Torres at 661-699-8348 or Chesslessons@aol.com. PLEASE EAT BEFORE COMING TO THE TOURNAMENT! NON-KOSHER FOOD IS NOT ALLOWED ON CAMPUS!!! Total $ _________ Check payable to TCAMA. I request that my child, (named above) be permitted to participate in the 2/7/10 and/or 3/7/10 Chess event(s). I fully understand that it is my (or my representative’s) responsibility for supervising my child during this event. Should it be necessary for my child to have medical treatment while participating in this event, I hereby give the supervisory personnel permission to use their judgment in obtaining medical services for my child, and I give permission to the physician selected by such personnel to render medical treatment deemed necessary and appropriate. I, as parent or representative of this child, hereby release, discharge, indemnify, and hold harmless the TCAMA, the South Peninsula Hebrew Day School, and their employees, volunteers or agents, and/or staff, from any claims arising out of, or relating to, any injury that may result to said individual while participating in this event. I, as a parent or representative of this child, hereby waive any rights to the taking and use of photographs, (including posting on SiliconValleyChess.com, ChessandMusic.com or any promotional material) or any other recorded material, including video and audio taken during this chess tournament. I, as a parent or representative of this child, hereby consent to the publication of this child’s individual tournament results/scores. Kids playing chess at a tournament directed by Chris Torres. Chris Torres has been one of the most successful scholastic chess organizers since 1998. His chess tournaments are extremely well organized and offer young chess players an opportunity to compete in a structured format and receive chess instruction from the best chess teachers in California. For information on these chess tournaments please visit SiliconValleyChess.com and ChessAndMusic.com. Come and train with the 2009 National Champions! 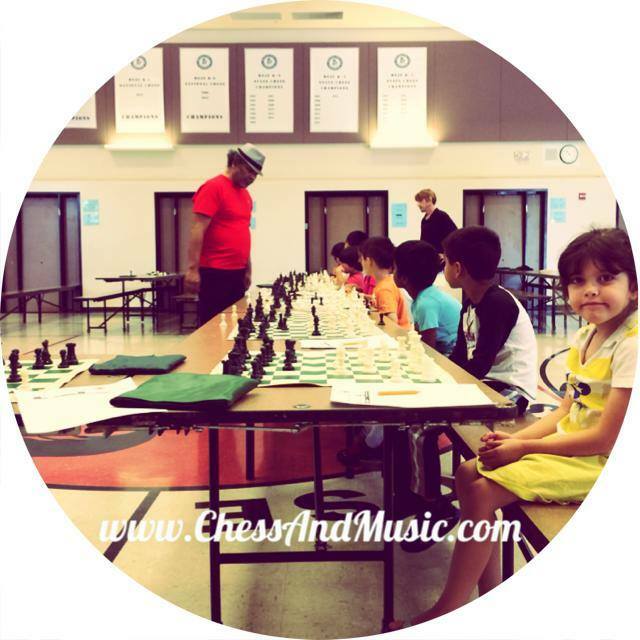 This class is brought to you by the Torres Chess and Music Academy, a non-profit corporation. The Torres Chess and Music Academy, a 501c (3) non-profit organization, is pleased to be running a very special chess camp designed by nationally renowned chess instructor Chris Torres. This camp will feature instructors with decades of chess teaching experience in a format that is fun, competitive and educational. Attendees will receive the best training available and take part in USCF rated tournaments with awards given at the end of each week. This class will meet from 9:00 AM to 3:00 PM, Mondays through Thursdays, June 22 to July 9 at Mission San Jose ES, 43545 Bryant St. Fremont, CA 94539. The fee for this class is $170.00 for one week, $280 for two weeks, or $390 for all three weeks. I, hereby, as a Parent/Guardian of the child named above have read all the requirements and give my child permission to participate in the TCAMA Program held at Mission San Jose ES. I recognize that this program is under the direction of the TCAMA and is no way connected to MSJE or the Fremont Unified School District and only the TCAMA can be held legally responsible for this program. To apply online, or for more information on the TCAMA, please visit CHESSANDMUSIC.COM, or contact Chris Torres at (661)699-8348, or chesslessons@aol.com. The checks should be made payable to The TCAMA Inc. The fees for the chess program are nonrefundable after the class has begun. No refunds will be given for unscheduled student absences.